A total of 1,360 of vehicle accidents were reported last year, an increase of 498 from 2017 according to the report maintained with Road Safety and Transport Authority (RSTA). The traffic accidents claimed 104 lives in 2017, it increased to 135 last year. Similarly, there is an increase in the number of people injured in road crashes. Last year, 807 people were injured in road crashes. It is an increase from 457 in 2017. ”Increase in the figure of road fatalities is a big concern for RSTA. We are going to monitor the traffic violations with better safety equipment like speed gun, which will not only capture the speed but also the picture of the vehicle,” Sonam Dhendup, the Programme Officer of RSTA, said. RSTA says bad road conditions, weather, speeding, drink driving and unlicensed driving were some of the reasons for road crashes. ”This is all about being the self-discipline. If we look at the figures, speeding and using mobile phones while driving occurs only when people feel that they are not under the surveillance of the law. If they know they are being watched they tend to be careful while driving,” Sonam Dhendup said. The authority also plans to enhance the frequency of inspections on the highway to reduce road fatalities. 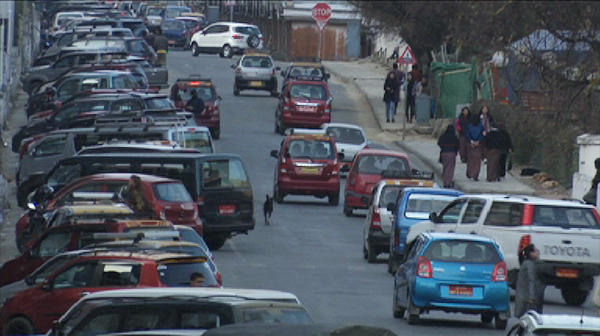 The increasing number of vehicles in the country is also one of the reasons for an increase in traffic accidents according to RSTA. On average, close to 700 vehicles are imported in a month. As of December last year, there are 100,544 vehicles in the country.